The burning sensation is caused by acidic stomach juices rising into the esophagus when the valve between the esophagus and stomach does not close properly. This is why heartburn often occurs after eating fatty, fried, or acidic foods. Baking soda, also known as sodium bicarbonate, provides quick and easy relief from heartburn. Being a natural antacid, it works within minutes, giving you relief from heartburn pain. Just mix one teaspoon of baking soda in a glass of water. Drink it for instant relief. You can also mix a few drops of lemon juice in this solution. Chewing fennel seeds several times a day will freshen your breath while also controlling the production of stomach acid. You can also drink tea made from fennel seeds. To make this herbal tea, add two teaspoons of fennel seeds to a cup of boiling water, allow it to sit for 10 minutes and then strain it into a cup. Mint is effective in treating indigestion and heartburn because it aids digestion and has soothing properties. Add one tablespoon of crushed mint leaves to a cup of water. Leave it for about 30 minutes. Drink it two to three times a day. You can also chew fresh mint leaves to avoid heartburn. However, do not take mint if you are suffering from acid reflux. Fresh ginger provides relief from heartburn in two ways – it absorbs acid in the stomach and helps calm the nerves that contribute to heartburn. You can use ginger as a spice in cooking, eat raw ginger pieces or drink ginger tea. This natural herb can be consumed regularly to prevent heartburn from recurring. Add one teaspoon of freshly grated ginger to one cup of boiling water. Let it steep for a few minutes. Drink this herbal tea several times a day. 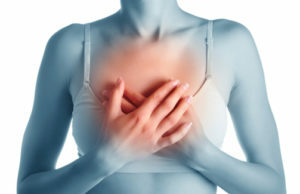 If you suffer from acid reflux that causes heartburn, vinegar can trigger the sphincter below the esophagus to close, thus preventing acid from rising. Of all the different types of vinegar, apple cider vinegar usually works best. Simply add one or two teaspoons of apple cider vinegar to a glass of water. Drink it before each meal. The juice extracted from the aloe vera plant is a popular home remedy for heartburn. Aloe vera juice controls heartburn by reducing inflammation and healing the gastrointestinal tract. For best results, drink one-quarter cup of the juice about 20 minutes before eating a meal. Be careful not to drink too much of it in one day as it can cause diarrhea and abdominal pain. Drinking a glass of chilled milk can be a simple solution for early or mild heartburn symptoms. Milk relaxes the valve between the stomach and esophagus. If you don’t have milk, you can try other types of dairy products. This home remedy is best for people who experience heartburn on rare occasions. Cabbage juice has natural anti-inflammatory properties that help alleviate various kinds of digestive problems including heartburn. Grind fresh cabbage and two carrots in a blender or juicer. Drink one-half cup of this juice in the morning on an empty stomach to prevent heartburn. You can also try juices made from vegetables like carrots, cucumbers, radishes or beets to reduce the production of stomach acid that is a primary cause of heartburn. Almond lovers will be happy to hear that this tasty nut is also effective in treating heartburn. Immediately after a meal or snack, eat three to four almonds. You can choose raw, roasted or salted almonds to suit your taste buds. Chew them until they are reduced to a flour-like substance. This will release the oil from the almonds, which calms production of acid in your stomach.